Below0.co.za Started by dRweEz (Andrew) and Deadmeat (Brett) as a website to blog about their overclocking adventures and experiences. Firestrm_ZA (Richard) was later added into the mix to help us with review editing, general site maintenance and news filtering. Rav3n72 (Steven) was also added to the team and was our resident AMD overclocker. Billybob (Philip) formed part of our review team. sadly only dRweEz remains from the original team. From the beginning of 2015 below Zero has moved to a new home at overclock.co.za and moving to word press as the platform. This forms part of our strategy to make it easier and quicker to bring new content to our readers. The newest member to the team and contributor is Tweak Venetica (Warren) who joined us from 2015. 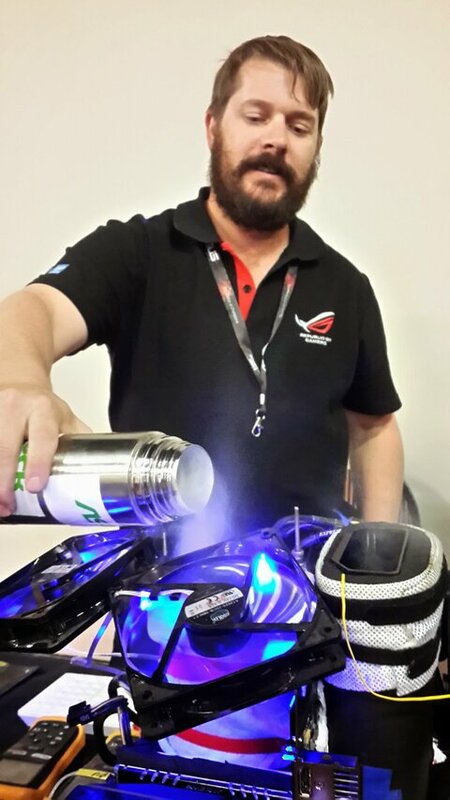 Thank you to Asus South Africa and MSI Taiwan who allow us the opportunity to test some of their products and Afrox Cryospeed who give us a reduced fixed price for the liquid nitrogen we use. If you would like us to test or review your hardware or would like us to come and demonstrate extreme overclocking at your event please direct all communication through dRweEz the contact us paage. Overclock.co.za and Below0.co.za is a space on the internet for South African Overclockers and PC enthusiasts to document their experiences and knowledge.